The hips and knees are common sites of pain in many people, since they are highly susceptible to injury and arthritis. Pain in the hips and knees can affect your movement and limit your day-to-day activities. The Culpeper, Virginia hip and knee pain specialists at Virginia Orthopaedic and Spine Center (VOC) can help diagnose and treat the cause of your pain. Non-surgical hip and knee treatments can include cortisone injections, viscosupplementation for knee arthritis, or physical therapy. 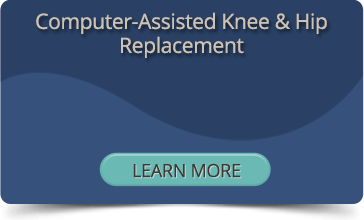 If you have arthritis and non-surgical treatments are no longer effective at relieving your pain, our board-certified surgeons specialize in computer-assisted total knee and hip replacement, which allows for improved accuracy and a better result than regular joint replacement. If you’re experiencing hip or knee pain in Culpeper, Virginia, call (540) 825-5362 to make an appointment with Virginia Orthopaedic and Spine Center, or request an appointment online now. We’re also pleased to help with any questions you may have about hip or knee conditions or treatments. Give us a call today!